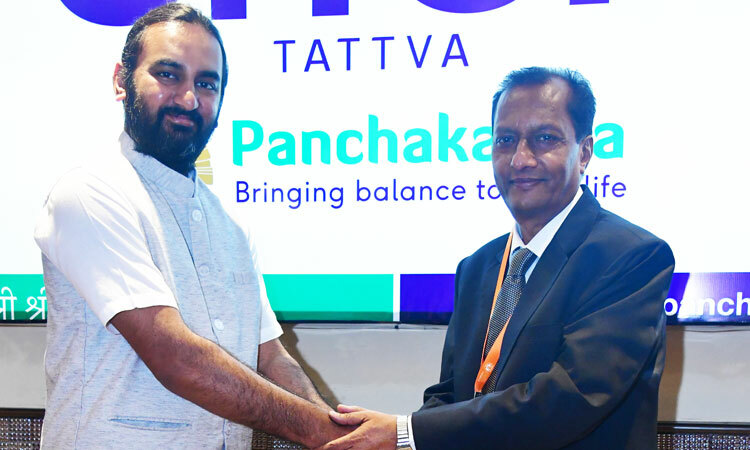 Lucknow, 27th September 2018: Mr Arvind Varchaswi – Managing Director, Sri Sri Tattva, today inaugurated Lucknow’s biggest Wellness centre at Lucknow in Uttar Pradesh at the Ramada Hotel & Convention Centre during the 53rd FHRAI Annual Convention. It is the 11th Sri Sri Tattva Panchakarma centre in India and 3rd in Uttar Pradesh. The centre currently houses 4 treatment rooms and will expand to 9 within 6 months. Located at Janpur Road, Junab Ganj, Lucknow, Uttar Pradesh, Sri Sri Tattva Panchkarma in Ramada Hotel and Convention & Wellness Centre offers Ayurveda, various techniques of Yoga & Meditation, as well as some highly effective Ayurvedic and alternative therapies from around the globe including Abhyanga, Nadi Pariksha, Kati Vasti among others. All therapies have been harmoniously integrated to create an oasis of peace, serenity and wellness. The ancient practice of Hilot massage from the Philippines and the elusive Rakkenho treatment found only in Japan and in our ashram are among the international experiences available at Sri Sri Tattva Panchakarma. Mr Nishant Jaiswal, Director, Ramada Hotel & Convention Centre said “When we opened the hotel we decided that we will offer all our Guests and specially people from Lucknow & Kanpur the most effective therapies from around the world to help you heal”. Sri Sri Tattva (SST) comes with a goal of promoting health and wellness to every household. Sri Sri Tattva has products in multiple categories of Ayurveda Medicines, Supplements, Food products, Personal Care products, Home Care and cleaning products as well as Incense and Fragrances for home and personal use. Established by committed individuals with nearly four decades of experience, SST comes with a 360-degree approach including a College of Ayurvedic Science and Research, a state of the art Hospital, inspired Doctors and Therapists, Panchakarma Wellness Centres, Spas and Clinics, Manufacturing facilities driven by technology and stringent control systems and widely growing Franchise and Retail presence, the brand has a holistic approach to health and wellness. Sri Sri Tattva is growing with the continued support of our loyal customers and a constant aim to provide the best of safe, effective, high quality and responsible products. Ramada Hotel & Convention Centre which boasts of the state’s biggest meeting, dining and leisure facilities in the State of Uttar Pradesh, is part of the twin hotels (the upcoming Ramada Plaza Lucknow Hotel) & Convention Centre complex in Lucknow. Spread over 10 Acres Ramada Lucknow is located in the city’s commercial suburb catering to the discerning customer of the MICE & Luxury Market in and around Lucknow.